I've been furniture shuffling around here. I haven't been happy with the smaller of the two guest rooms since we got bigger beds. The little daybed in the guest room was a perfect match for my granny's tea table. 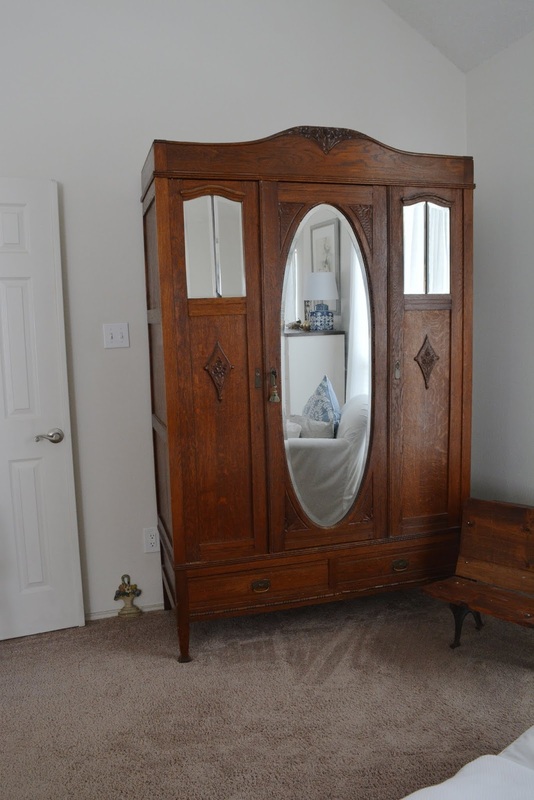 The color of the armoire was a perfect match but the size was not great. 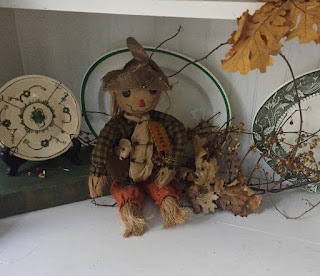 I knew it was a mistake as soon as we moved it in there but Bill vowed that he'd never move it again when the top bashed him on the head. 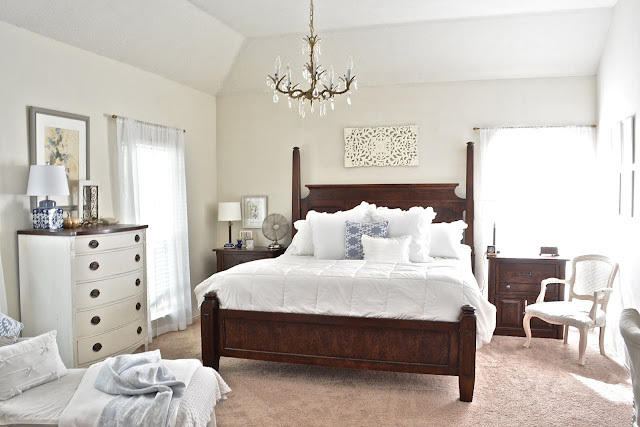 When we upsized the bed in the other guest room and we moved the full size bed into this room, the armoire completely overwhelmed the space. I've wanted it moved since last November. If you've been around for a while, you know that is not the "Katie" way. Once something is seen it cannot be unseen. I've been on a quest. 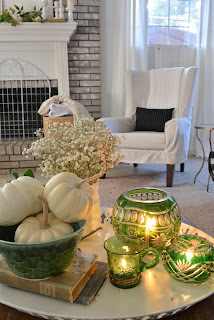 Blogging creates a lot of CR@P.
The other day, I was in the room trying to get a handle on my throw pillow collection. I decided to un-stuff all of my decorative pillows, fold up the pillow covers and use pillow forms when I needed them. 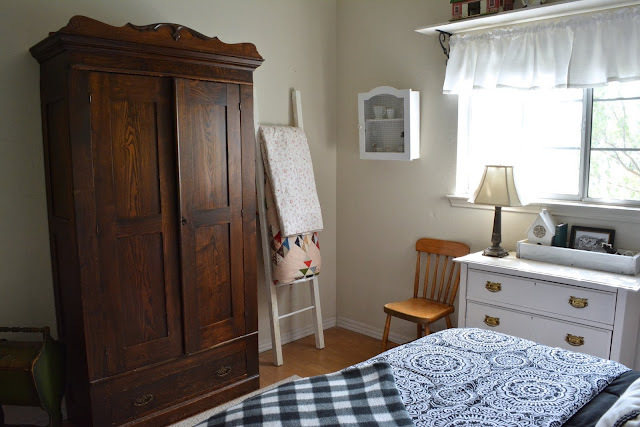 That armoire is where I stored the pillows, quilts and coverlets that are used for seasonal decorating. 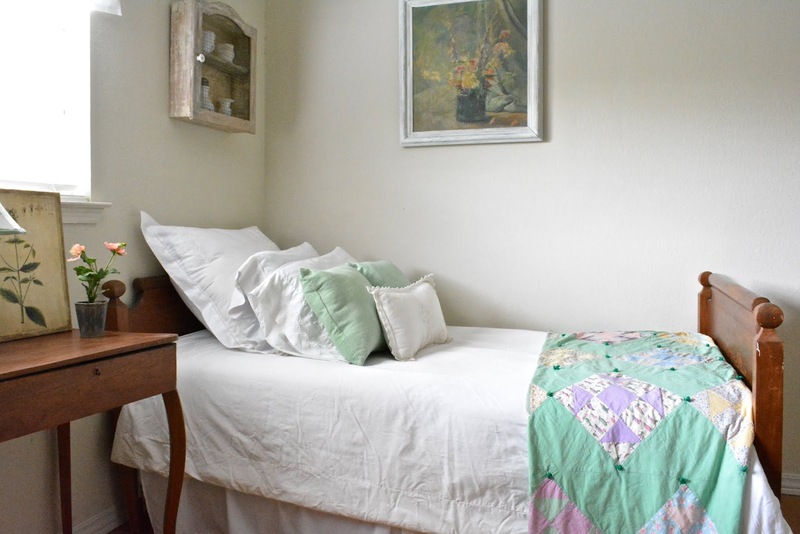 The pillow project led to throw and quilt collection cataloging. 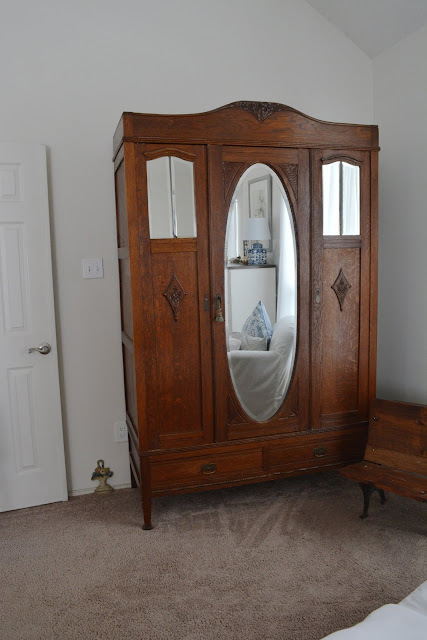 Since the armoire was almost empty, I decided to see if Bill would help me move it. In actuality he asked, "Do I have a choice?" Probably not but I appreciated his willingness to risk getting bashed on the head again. So the bigger armoire is back in our room. After our huffing and puffing, dismantling, and the door falling off, we got it moved and put back together. I'm so in love with the details of this piece and I've missed it in here. You can see it is a reddish oak. You probably can't tell from the pictures but this one is taller, wider and deeper than the other one. It's a good scale for our room. I remember Sarah Richardson saying that she doesn't like tall case goods like armoires. I disagree with that. I feel that every room needs a tall piece of furniture. 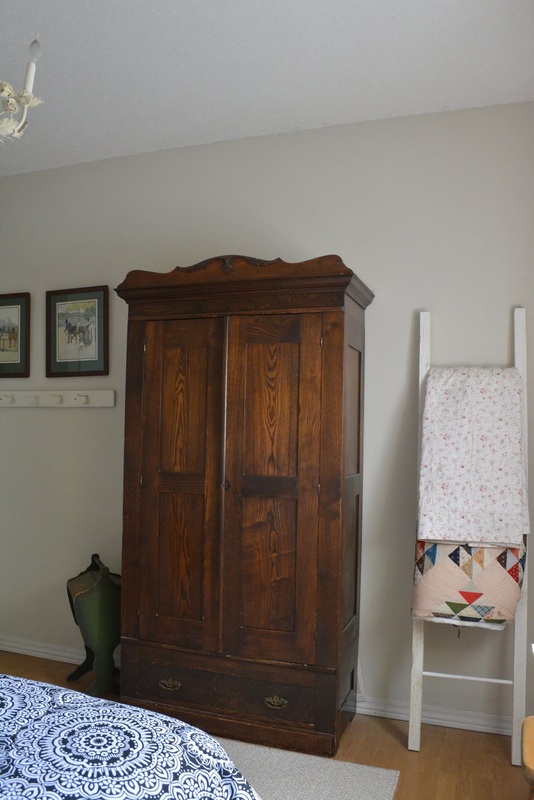 Armoires were all the rage back in the 80s and we were thrilled when we got the smaller of these two. We got the big one at an auction. These pictures make them look the same color. They really aren't. Even though the wood tone isn't perfect with our Lane bed, I'm happy we made the switch. We have had a lot of issues with our Lane nightstands so those may be replaced soon anyway. I'd be open to painting the bed but Bill is not in favor of that. The smaller armoire is super cute in the little guest room. Not all our quilts and pillows would fit but that is the way it goes sometimes. I'll show the guest room in another post. That is probably way more than you needed to know about this but I hope you enjoyed the pictures. What do you think about tall case goods? I like tall case goods. Anytime there is a shortage of floor space you have to go up. I can understand why some people don't like them, though. They can be overpowering in a room. Their tallness can make it seem that the walls are moving in. I had that problem once. You made the right choice here. They both fit perfectly into the space. Oh golly, they both are gorgeous. I'm with you on using tall furniture. We have two antique ones, both good sized. 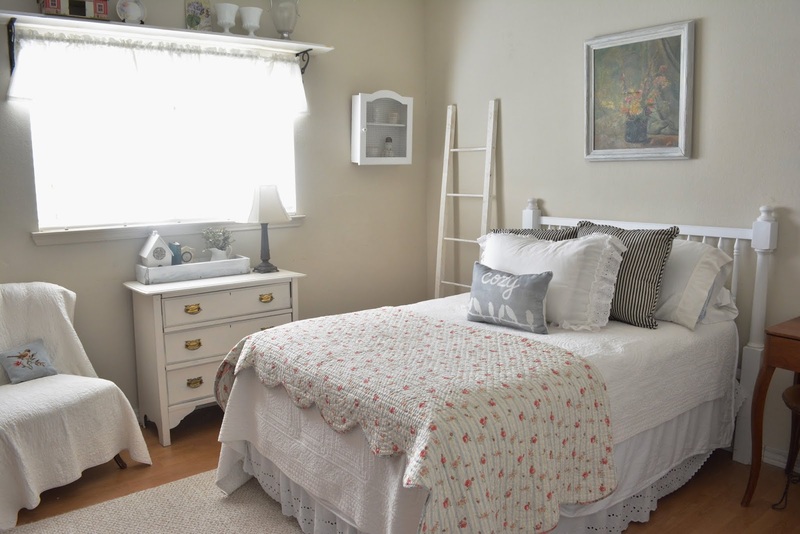 One for a tv in the bedroom, and the other downstairs to house my quilts. They both come apart like Chinese puzzles, but they are still unwieldy. I think our husbands were separated at birth. But I'm usually the one that gets hurt during furniture moving. 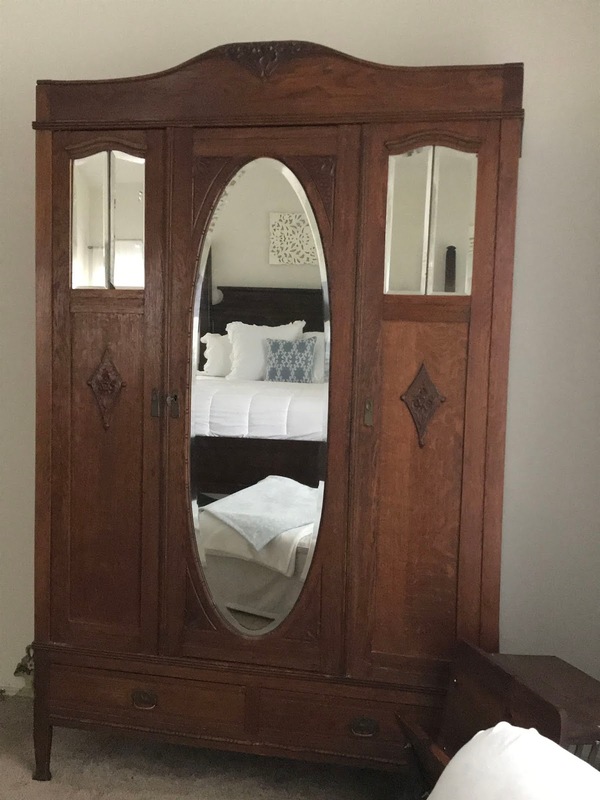 The armoire is beautiful. I agree, it needed moved. Now you can enjoy seeing it everyday. 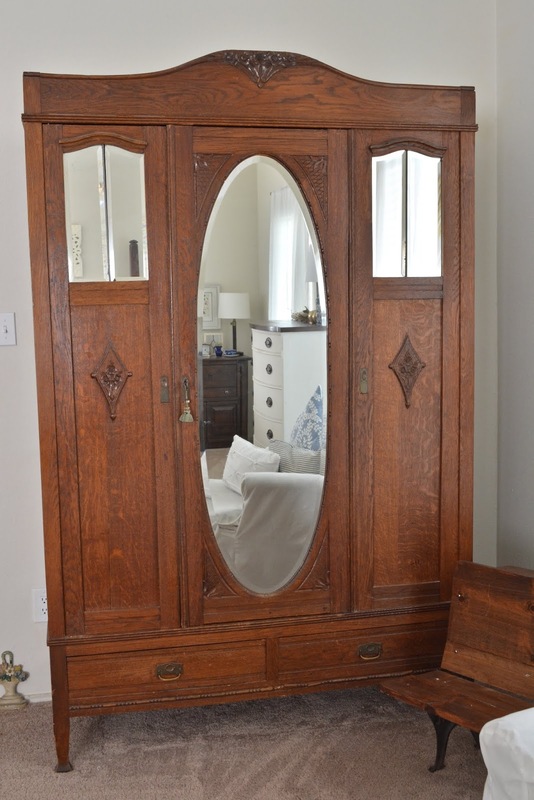 I am an armoire lover! The smaller one you moved into the guest room looks right at home there. Both are absolutely stunning pieces!! They look lovely where you have them!! Beautiful!! 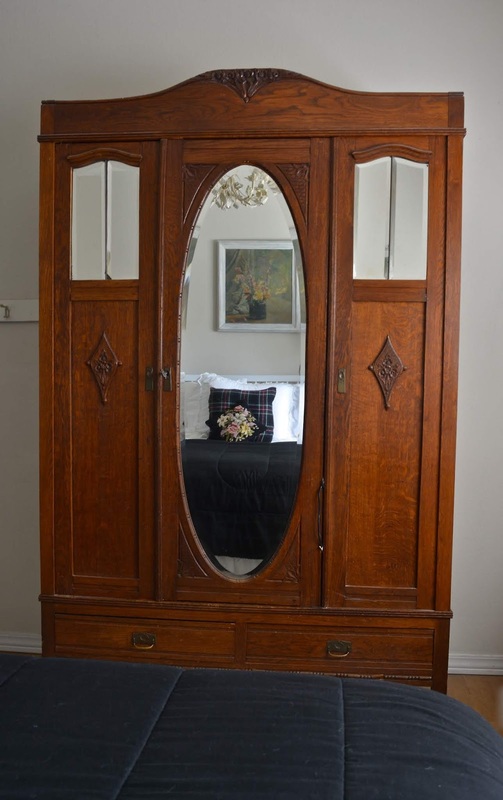 I love armoires and have a beautiful 1880's reproduction Louis XV one with inward sloping V's of veneer on the sides. It's in storage but coming soon! As soon as we get out house. :) Glad your hubby was up for moving the bigger one back to your bedroom. It reflects your bed beautifully.